Why Will Perfusion Systems for Donor Heart Preservation Become The Standard-of-Care? Currently almost all organs are preserved using an insulated cooler and ice. This simple effective method has been the standard-of-care since the first heart transplant 50 years ago. Because it works; the heart has a high metabolism which when cooled down – decreases its energy utilization by 80%. The reduction of metabolism has been the basis for all current organ storage techniques used to transport the donor organ to the transplant center. 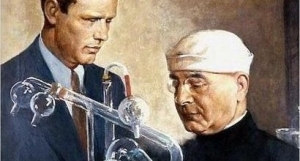 Perfusion of the donor heart has also had a long history. In 1935, Charles Lindbergh, the famous aviator, worked alongside the nobel-prize winning Dr. Alexis Carrel to develop the first organ preservation device; then used it 989 times. Since then, research has clearly shown the effectiveness of perfusion of the donor organ. One company, Transmedics has developed a system to maintain the heart in a warm physiological state with pulsatile flow and blood oxygenation commercially available in Europe. Other companies have developed organ preservation devices using warm or cold perfusion techniques. Organ Transport Systems and Paragonix Technologies have both developed a system tested in animals using cold oxygenated perfusion. Hibernicor has a unique device that can maintain the heart in a cold state while receiving intermittent perfusion. The advantages of improving donor heart preservation are significant. Many donor hearts (about 20%) remain unused due to a distance too far from the transplant center. Additional time could allow tissue matching to be completed – thus improving post-transplant outcomes from less rejection.